Flies are, at best mildly annoying and at worst a serious health hazard. Flies in a workplace can be especially unpleasant, particularly if the business concerned handles food. For a restaurant, café and bar, food hygiene is hugely important. Flies can contaminate food, bite people and spread some nasty diseases. All of which is very likely to put off customers and give a business a bad reputation. At Confirm A Kill we are very proud to be an approved distributor of PestWest fly control units. A British brand, they are considered to be the Rolls-Royce of Electric Fly Killers. All of their products come with a three-year guarantee as standard giving you total peace of mind. 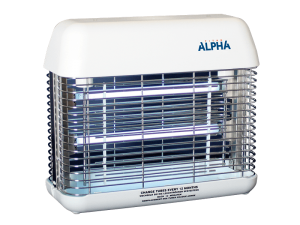 If you have a problem with flies and are looking for an electric fly killer to help control them, we carry out free assessment and advise which fly zapper would best suit your requirements. Whether you’re struggling with flies front of house and require a discrete decorative unit. Or, you’re having problems in areas that the public don’t have access to, then a larger, professional unit may be the solution. We all get bothered by flies now and again. Most of us will have one or two buzzing around our house in the summertime. But, did you know they can actually be a fairly big risk to our health? Flies typically breed and feed on such delights as rubbish, excrement and decaying organic matter. It’s hardly surprising therefore that they can carry up to 100 pathogens that are harmful to humans. As flies move from a contaminated environment to a clean one, they bring these pathogens with them. Although there is debate on exactly how much risk this poses to humans there have been a number of studies to show that flies do contribute to the spread of some diseases. Salmonella is a bacterial disease that affects the intestinal tract. The salmonella bacteria live in human and animal intestines and are shed through faeces. Typically, humans become infected by consuming contaminated food or water. Shigellosis is caused by a group of bacteria known as Shigella. When infected humans will develop a fever, stomach cramps and diarrhoea. E.coli is another type of bacteria that lives in the intestines of humans and animals. Most cases of E.coli infection are caused by contaminated food as a result of poor handling. Symptoms include fever, stomach cramps and diarrhoea which will normally pass within a week. Myiasis is an infection with larvae that is more likely to occur in tropical or sub-tropical areas. Fly larvae will burrow into human skin usually entering through an existing bite or injury. There are measures you can take to minimise the risks that flies present. Following these rules will also deter other unwanted pests such as ants, mice and rats. – Keep food covered at all times and if storing in cupboards use airtight containers. – Clean floors and surfaces on a regular basis removing any food debris or spillages. – Don’t leave pet food down all day, if your fluffy friend isn’t in the mood to eat then pick up the bowl and store it safely. – Take out rubbish on a regular basis and ensure all bin lids are firmly down. – Again on the pet front, if you have a pet that leaves presents for you to find in the garden then try and clean this up on a daily basis. Especially in warm weather. For a business that relies on maintaining a hygienic environment, an Electric Fly Killer is a simple, safe, affordable and effective choice. With a wide range of options to suit all types of working environment coupled with low running costs, they are by far the best solution. We are also able to provide professional sticky traps. These high-quality units combine advance glue board technology with slim-line design. The designs enable glue boards to be placed close to the UV tubes improving catch rates. With a sticky trap, the flies are secured to allow the units to be placed closer to sensitive areas such as where food is prepped. 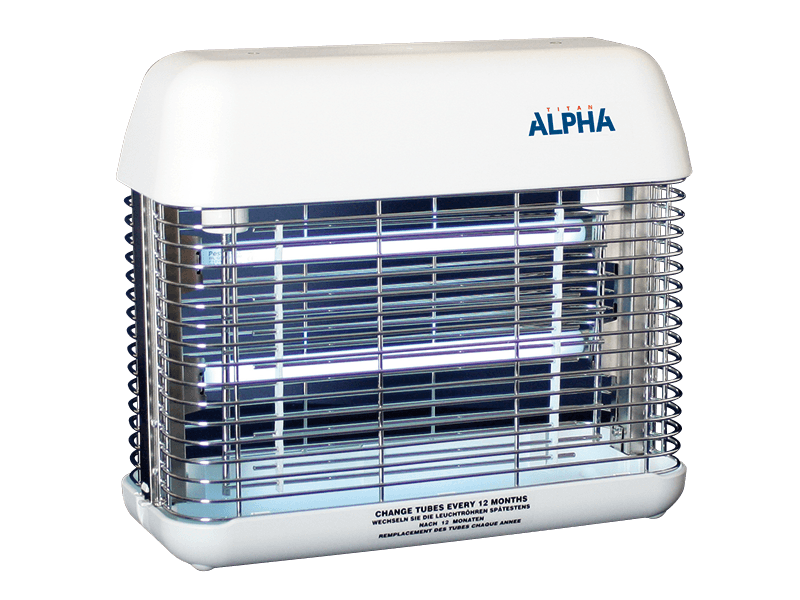 They do not have an electric killing grid, making them silent, discreet, and hygienic, while catching all sizes of flies. If you’re having problems with flies in your business then please get in touch with our experts. We will carry out a free assessment and recommend a course of action that will help eliminate the problem. If you think that you have a problem with flies then get in touch with us for a free, no obligation quote.